Hey everyone! This was actually one of the original posts that I ever wrote for M$M. Isn't that crazy? I've never redone an old post on the site like this, but I've had a very large influx of readers that have joined the M$M crew since I wrote this almost three years ago. I constantly get questions from new readers about a beginner's guide to investing, and unfortunately, this was buried so deep in the site that nobody could easily find it. Most of my adult life up until about 26 years old had been spent desperately trying to pay off my student loans and get my head above water when it came to my net worth. But after my loans were gone, I realized that I really didn't know too much about investing at all. As a teacher, I paid into a retirement system called the Texas Retirement System. Essentially, it was a pension program that would pay out a set amount of money when I eventually retired. I didn't even know what assets it even held, to be honest. When I was still working on my student loan debt, the only investment I was honestly thinking about was whether I should buy Taco Bell or a frozen pizza for dinner. Just FYI, Taco Bell gives you a very high return on your money. You can get 43 tacos for like 3 bucks. A lot of M$M readers are really starting to play their cards right and have made it a point to live way below their means. The problem that many of them are starting to face is this: What the heck do they do with their money once they start to accumulate more? The reality of life is that you eventually will be unable to work and earn money. You actually will get old, no matter how invincible you feel now. Your money sitting around in a savings account is not going to do much for you when you get to that point. In fact, it literally almost does nothing. According to gobankingrates.com, the average American savings account interest rate is only 0.17%. You could rub two dimes together and probably make more than 0.17%. So, I've put together this beginner's guide to investing to help you weed through the very beginning stages of investing. No crazy technical jargon here – just easy to understand information. Please know this before you jump into the guide: There are SO many different investment vehicles and strategies out there that I would have to write 3 books about it instead of a post to cover it all. 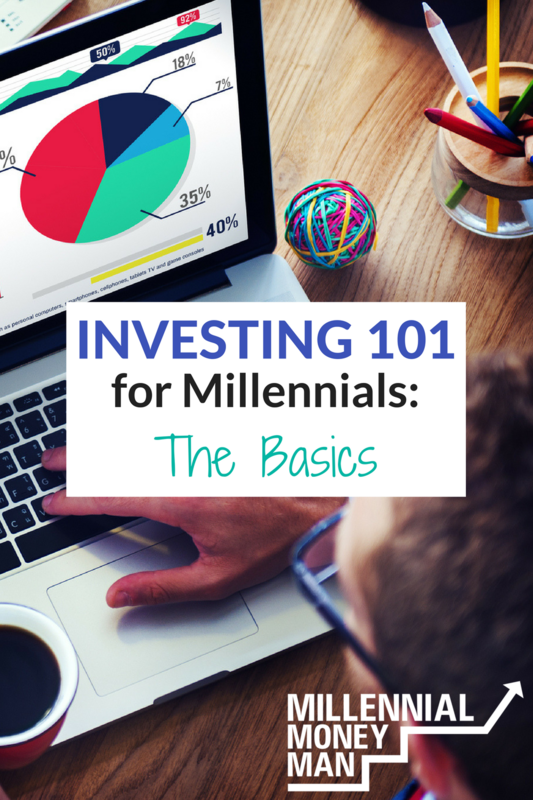 I am giving you the bare bones in the hopes that it will get you excited about investing. The key to investing is literally to get started early. Use the time that you have left in life to your advantage so that you can be wealthy later on! I have put three indicators underneath each option that will give you a general idea of how risky the investment is, how much that particular investment is diversified (which also limits your inherent risk), and what level of fees you will have to pay to use the investment vehicle. Also – just because something is considered risky doesn't mean you shouldn't choose it as an investment vehicle. It's all about knowing your risk tolerance and fully understanding whichever strategy you choose. Stocks – “Security that signifies ownership in a corporation and represents a claim on the part of the corporation's assets and earnings”. Most people have a basic understanding of what your run of the mill stock (or commonly called share or equity) is. You are basically buying a small part of the company with each share, and you want the value of the share to increase over time. – Individual stocks have a moderate to high-risk rate because they are not diversified. When you buy a share of an individual company you are subjected to the risk that the company may underperform, the stock market may drop, or any other number of factors will cause your stock to lose value. – Some stocks are riskier than others. Established brands like Coca-cola, Chevron, Apple and similar companies tend to have a history over the years of performing well and making their investors money over a long period of time. These are called Blue Chip Stocks. They are the big boys of the stock world and are generally considered less risky than small companies without a history of being profitable. Small non-established companies are often considered speculative investments and can be riskier than blue chip equities. – You have to go through a broker to purchase stock. Think Vanguard, Schwab, Etrade, Scottrade, etc. This means that you have to open a brokerage account and order the stocks through the company that you choose. Because the brokerage industry is very competitive and is largely accessible online, fees are low and can be as little as $7 – $10 per transaction or even less with some online brokerages. – There are many different investment strategies for stocks, as well as ways to evaluate the quality. Debt/Equity (D/E) ratio, Price/Earnings (P/E) ratio, and the Beta are a few indicators used. – Also, because you manage your own stock in your brokerage account there are no fees needed for a fund manager like other investment options I will explain later in the post. ETF's are very popular in the investment world because of their high diversification and variety of investing options, along with low transaction fees. – ETFs trade like stocks in your brokerage account similar to stock trading described above. – For taxes, ETFs are fairly efficient compared to other diversified investment options such as mutual funds that I will explain below. There is no fund manager for ETFs and fewer transactions within the ETF than many other diversified investment options. This means fewer transactions that could be subject to capital gains taxes! – For the same reason, as stated above, ETFs can have very low fees compared to a Mutual Fund. – There are MANY different types of ETFs. They can shadow markets like the DOW or S&P500, or follow different sectors like energy or biotech. The ETF will ebb and flow as these markets and sectors do because they are invested in their respective category. – Because there is a range of investment options you can choose your level of risk. The plus side is that you are diversified in whatever investment area you choose, which is generally regarded as a good thing. – You'll see a lot of readers in the M$M community group talk about VTI (Vanguard Total Index Fund). This is by far the most popular ETF out there right now. You can get more information on VTI here. Mutual funds are an extremely popular investment vehicle and specialize in providing strong diversification across different sectors. There several different types of Mutual Funds; I am going to focus on Actively Managed Funds for this post. – Actively managed: Managed actively by fund managers. Investors are essentially paying the fund manager to select investments. Managers try to outperform the sector that they are investing in rather than shadow them like an ETF. – Mutual Funds can be less tax efficient than ETFs because there are many transactions needed to manage the accounts. These transactions are subject to capital gain taxes. – Because Mutual Funds utilize a fund manager, fees are higher than a non-managed investment vehicle. – There is a large range of investment options across different types of mutual funds similar to an ETF. – There are mutual funds that actually invest in other mutual funds (weird right?). – Many brokerages offer their own Mutual Funds, which may have fewer fees. – Mutual Funds often have higher required balances than ETF's. A bond is a debt-investment where the investor loans money to a borrower for a certain amount of time and is repaid with interest. – Bond funds are managed in a similar way to an actively managed mutual fund with a dedicated manager. This management brings on extra fees that the investor should consider before investing. – Individual bonds are generally sold at the maturation date, but Bond Fund managers can sell the bonds before their maturation dates and reinvest the funds. – Interest rates have a MAJOR effect on Bond Funds. A raised interest rate by the fed can significantly lower your asset value in a Bond Fund. Just FYI, the FED will raise interest rates slightly later on in the year. – Bonds are generally seen as a safe investment, but Bond Funds can carry more risk than individual bonds. – Bond Funds are often used for monthly income, whereas a stock can provide income through quarterly dividend payments. Money market accounts are a good option for someone who doesn't want to jump into investing yet but wants a slightly better return on their money than a savings account through a bank. There are also Money Market Funds, which are different than a Money Market Account. I will be focusing on the Money Market Account in this post. – This is seen as one of the safest investments but produces a low return compared to the other investment vehicles in this post. – Investment capital that is held in a Money Market Account is FDIC insured up to $250,000, but Money Market Fund capital is NOT insured. – Provides some limited check writing ability out of the account. – Funds are invested by banks in low-risk vehicles like debt securities with short maturities or certificates of deposit. Again, I can't emphasize enough how many different options there are for investments. The summaries above only scratch the surface. The most important thing is that you get started while you have time! One thing I have learned about investors is that they all have a strategy that works for them, and they will gladly share their information with you! (Even if you don't want to hear it). Make sure you always research before you invest, and only put money into things that you understand. What tips do you have for beginning investors? These days there is zero excuse for not investing in the stock market. If you are in your 20s, 30s even 40s you have the opportunity to build up an ever increasing passive income stream via dividends and can start with zero commission trades using Robinhood or Loyal3. I use Sharebuilder and every buy trade is $2 commish. With Loyal3 the minimum investment is $10. Again, there is no excuse to not buy into stocks for the long term (two or three decades) as everyone can spare $10 or more a month. Thanks for sharing. Wow, I’ll have to check that out. $2 commissions is CHEAP. I get that it’s scary to jump in, but people my age need to get started. Investing may seems really confusing for people who don’t work in finance field. This is an awesome insight and a great help to many people. my best advice for investing, is start EARLY. Time in the market is better than trying to time the market. also don’t panic when the market drops and sell. a person can not hit the bottom ever. expect some loss in the short run. But over time investments will grow in value. Good advice! If you panic and sell you lose the money. Wait it out and reap the rewards of patience. It’s frightening how many folks bury their head in the sand on personal finance issues. Thanks for making a difference! I’m trying to do the same at http://www.theretirementmanifesto.com. START EARLY, and be consistent!! Thanks! It is scary right? I’m mad that I didn’t get started in the personal finance and investing world sooner!! I think the biggest misconception that I had was that if your stock or etf goes down, you lose money. Rather, your stock loses VALUE, which can be regained if its a normal loss (not Enron). A bad market is good for early investors; we get more bang for our buck. I’m using Betterment for my Roth IRA. A lot of bloggers are very torn about roth vs traditional, maybe write a post about that? Absolutely, you only lose money when you sell at a loss! I’m actually in the process of rolling over my teacher retirement into an IRA right now. I might be able to get a post out about it next week. Thanks for the suggestion!! A small clarification, ETF’s and Mutual Funds can own the exact same underlying basket of investments (active, passive, index, etc.). Vanguard offers index mutual funds with fees to rival many index ETF’s. Think of ETF’s as shares stock where you’re buying ownership in a mutual fund instead of a company. Totally agree on the self-insuring! Thanks for the clarification, do Vanguard’s mutual fund fees include sales loads or redemption fees? Great guide, Bobby. I think that, just for dipping your toes in the water, robo-advisers can be an awesome tool, since they set you up with a solid investment strategy (mostly ETFs) at low cost (in the range of .25% per year in management fees). I’m currently using Betterment and M1 (which lets you specifically choose your investments). For the long term, my current thinking is stocks all the way, in one or more index ETFs. History shows that the returns will be in the range of 7-10% per year, for a small level of risk (over a long time horizon). Great guide, Bobby! I like how it is color coded…anything to help the reader follow better. I was thinking maybe also include a blurb about bond funds having potential high risk e.g. junk bonds invested in low grade debt. In case some readers find themselves inside a fund like this they may not realize the risk associated. But great intro article!